A Sweet New Bag to Bring in the New Year - Jill Ruth & Co. I will be "toten' in style" in 2012. 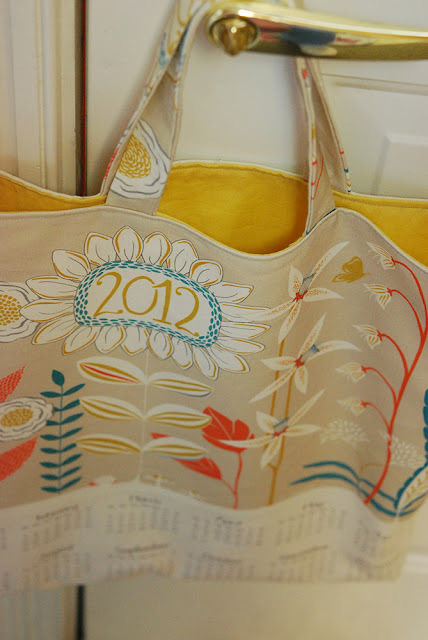 I used one of my fat quarters that I blogged about here to sew this tote. For some reason, having things dated is really appealing to me right now. 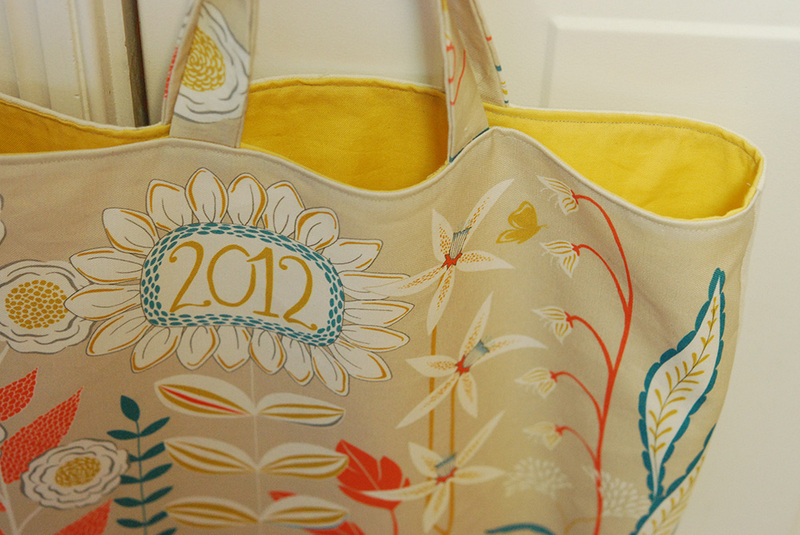 I used some vintage yellow fabric I had to line it and part of a canvas shower curtain for the back of the bag. :) I'm sorry I didn't take photos along the way to give you a tutorial, but it's just a basic sew right sides together kind of tote. I used the extra fabric I cut off to make the handles. This wall hanging is going back with one of my daughters to her apartment. 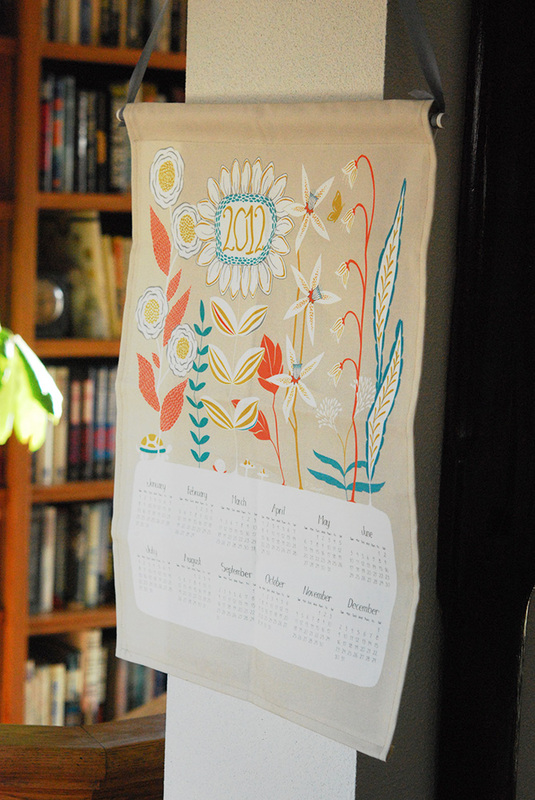 You can purchase the same fat quarter tea towel calendar here. The design is by Patty Sloniger. Her blog can be found here. The linen cotton canvas is recommended and I agree. 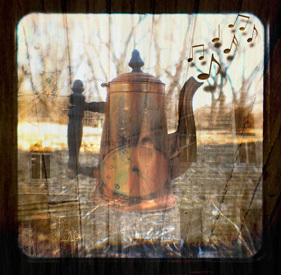 I hope your Christmas Season and the end of 2011 is a peaceful time for you. That is sew ding-dang cute! cute idea...adding this to my growing list of things to make. Very sweet idea. Love the calendar fabric. 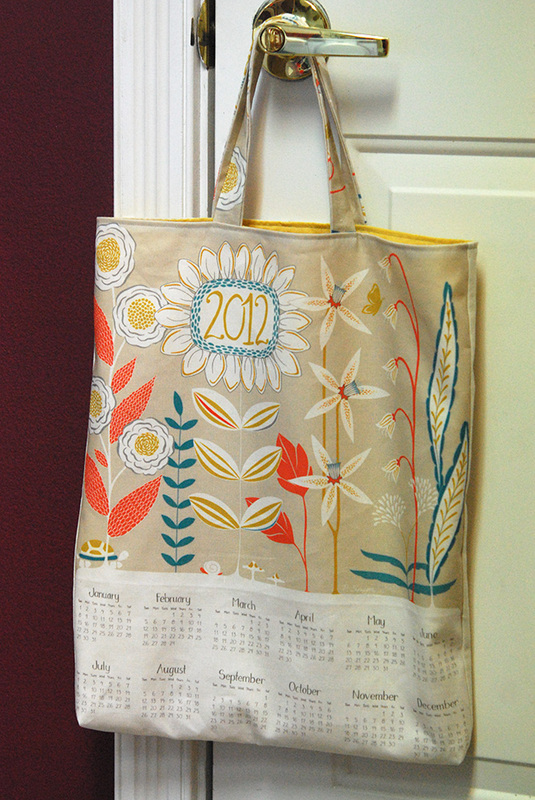 What a clever use of this calendar fabric, and the cheery yellow you used inside the bag is just perfect. Looks terrific!